The existing kitchen, with a 1980's style and an awkwardly small island, was pegged for a remodel before the homeowner's even moved in. 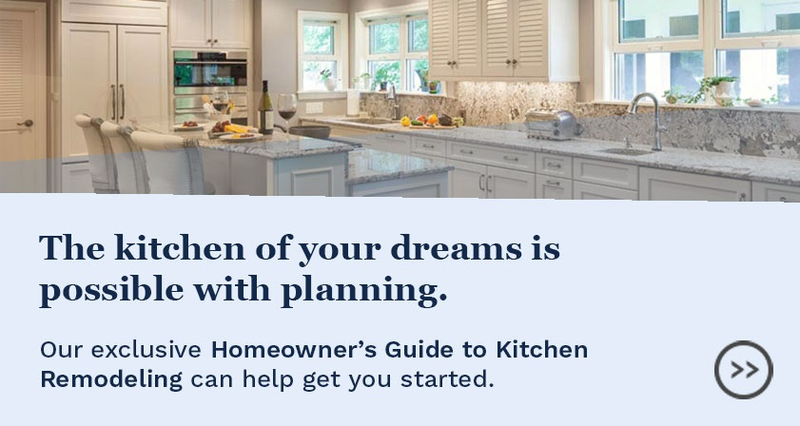 Working with the existing hardwood floor (which runs through the first floor) and opening the kitchen to the sunroom were two major items that needed to be addressed in the new kitchen. In order for the flooring to work with the larger opening between the kitchen and sunroom, a peninsula was used that adds extra seating and counterspace, perfect for entertaining. The new doorway is framed with a walnut beam to add to the casual bistro feel of the overall style. 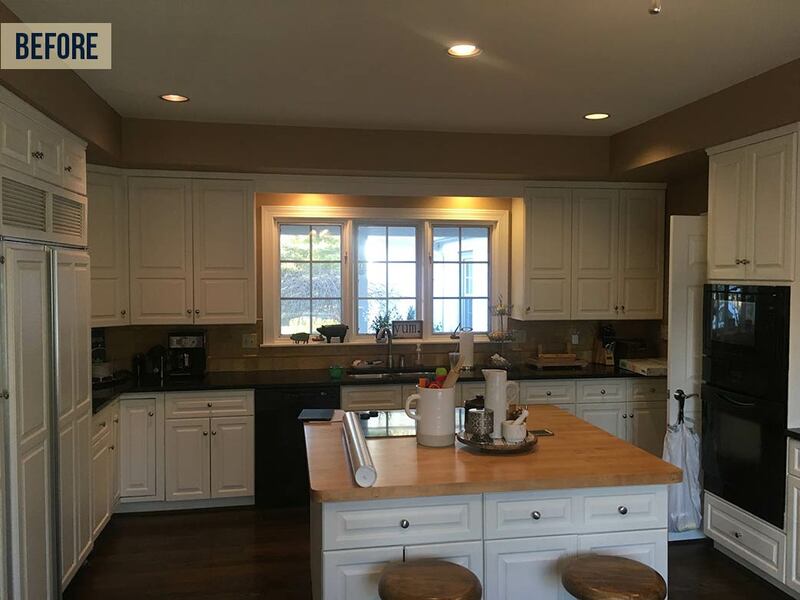 The island was enlarged to better fill the kitchen and provide more storage and seating. 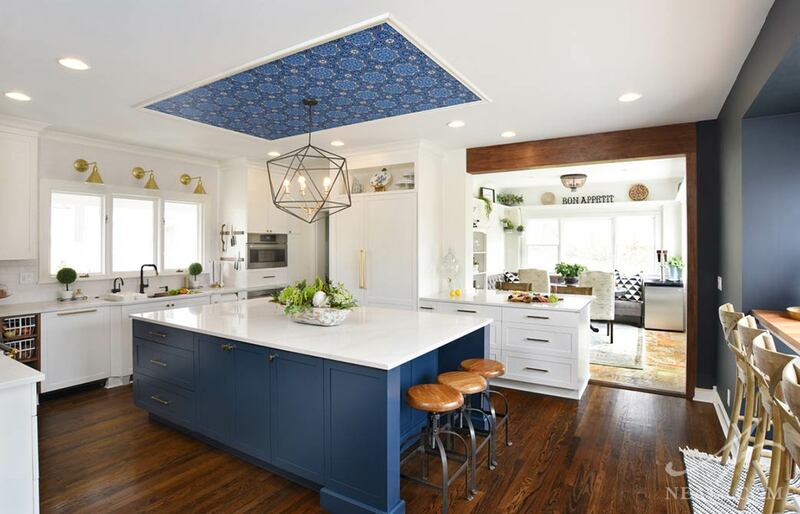 A custom blue was selected for the island's cabinetry. Blue is found in several other areas of the home's first floor. 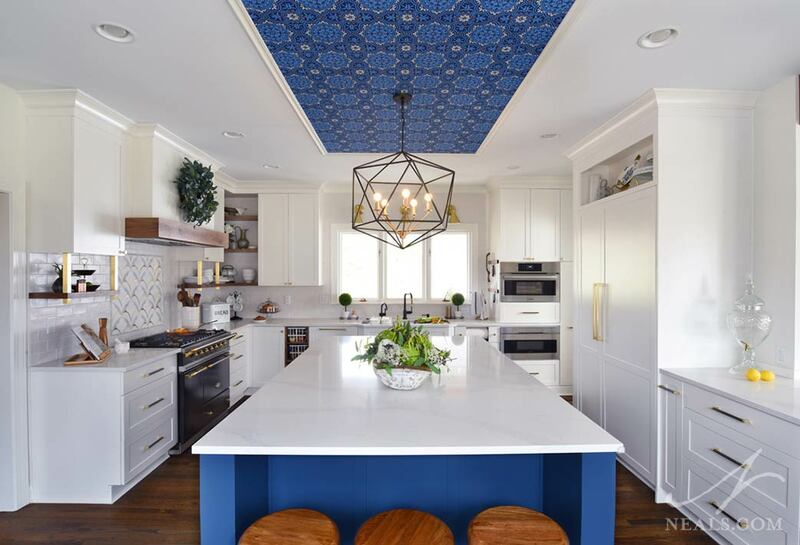 Over the island, to highlight the ceiling, a blue wallpaper was used as a backdrop to an over-sized airy pendant light. To carry the brass and walnut details around the room and to prevent the kitchen from having any useless or hidden space, open shelves were used in a few areas and are accented with brass supports. The brass and walnut modern drawer pulls carry that scheme across the white cabinetry. A custom wood mantle over the range adds a bit of modern flair and offers a place for seasonal decor. 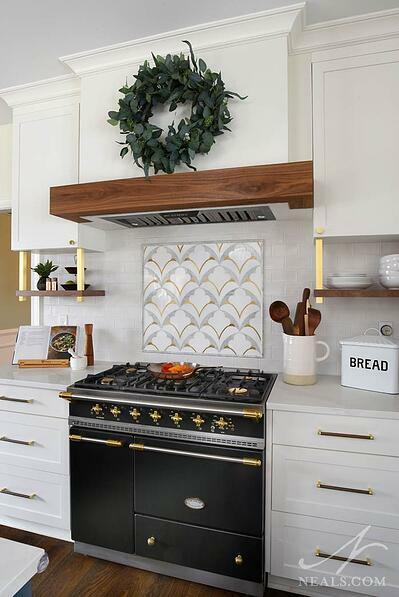 Brass makes an appearance again in the backsplash over the range. Aside from a stunning and stylish look, the new kitchen is as functional as they come. Personalized storage solutions, including some custom designs, were included behind nearly every door and drawer front. 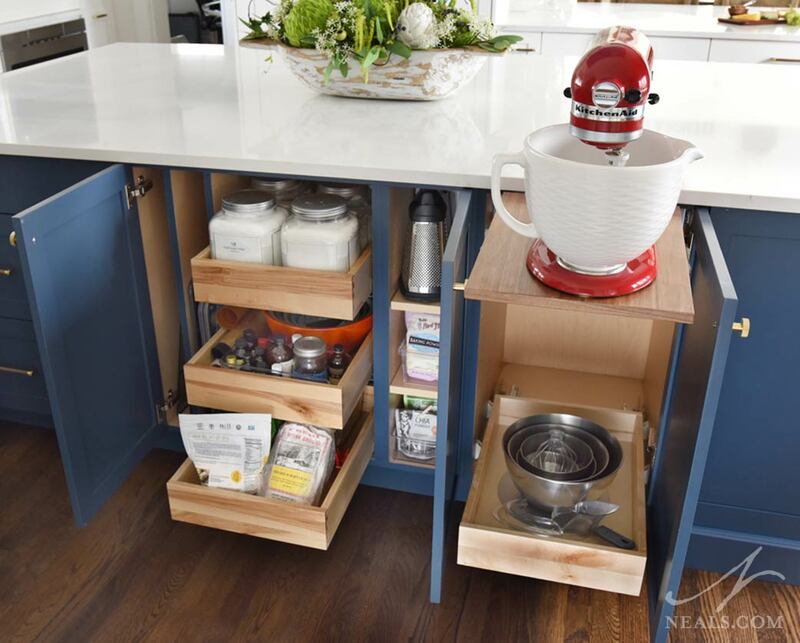 The kitchen includes specialized baskets for root vegetable storage, spice and cereal cabinets, a pull out mixer stand, and perfectly-sized spots for the food blogging homeowner to quickly find and use what she needs.